Harajuku guy wearing a tailor-made multicolored yukata with blue leather lace-up boots. Tokyo Decadence staffer and musician showcasing all-black androgynous street style in Harajuku. 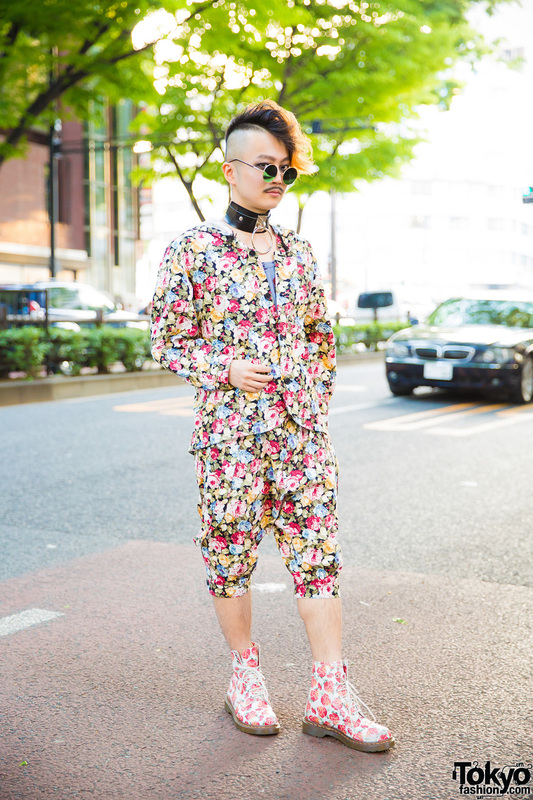 Japanese musician in matching floral outfit and rose print boots while out in Harajuku. 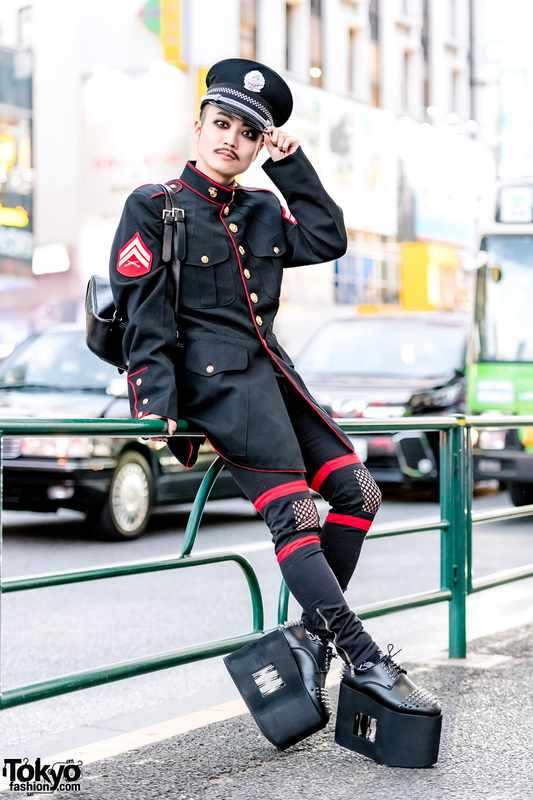 Japanese DJ Ohshi sporting a military-inspired streetwear style while out on the streets of Tokyo. Japanese musician in black jacket, mesh top, and plaid pants in Harajuku. 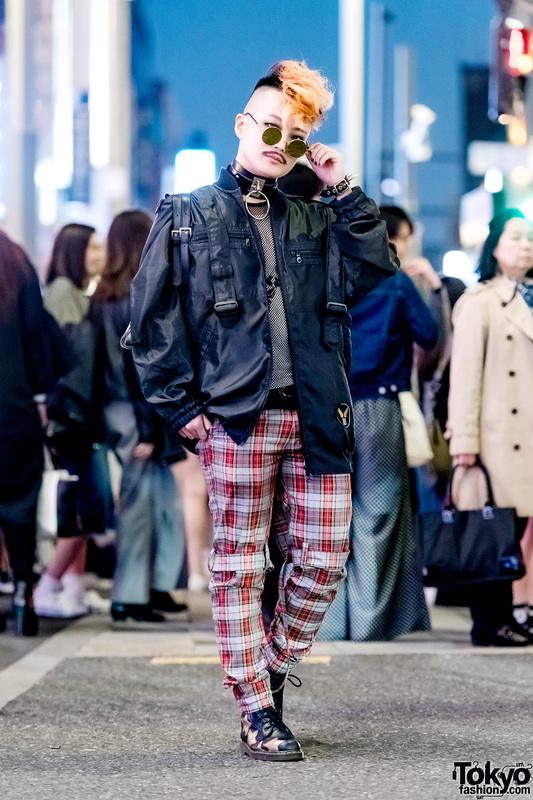 Japanese DJ Ohshi Uemoto in a casual plaid street style while walking along the Harajuku street at night. 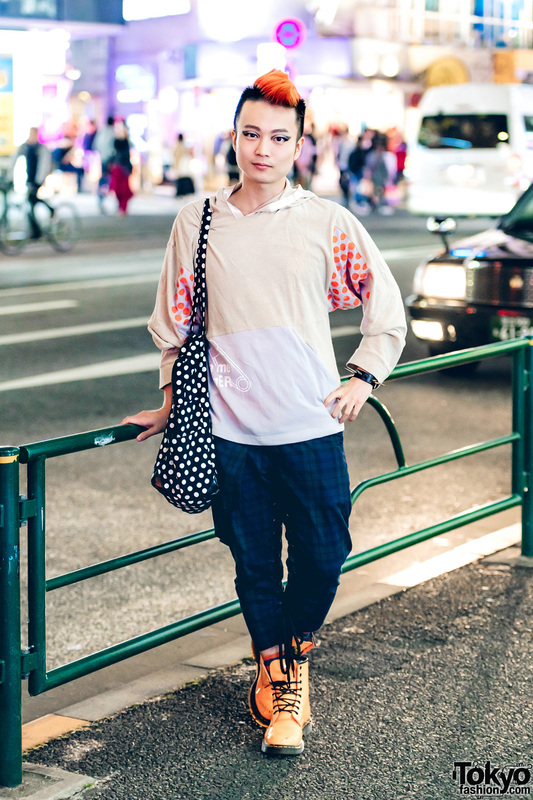 Popular composer, pianist, Dj, and Tokyo Decadence and DecaBar Z staff sporting ang orange mohawk wearing a casual street style outfit in Harajuku. Japanese singer on the street in Harajuku with colorful hair and nail art, a Joyrich biker jacket, Galaxxxy mini skirt, and Jeffrey Campbell platform booties.